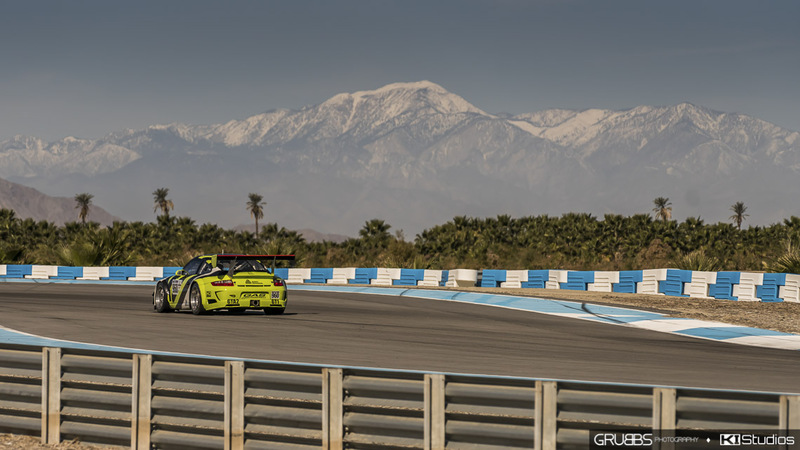 Featured here is the Avery Dennison Porsche 911 GT3 Cup car at The Thermal Club race track. 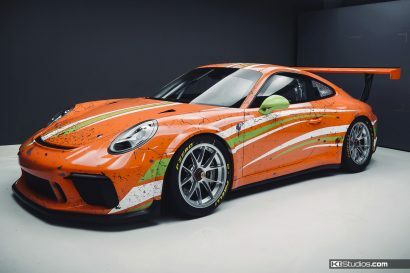 This is a wrap we designed and installed 100% in-house… Not to mention, it’s not the only GT3 Cup Car that we’re responsible for. As a matter of fact, we’ve done this car up before. 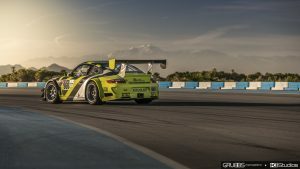 This 997 GT3 Cup Car happens to be the old Blackstar Racing 911 Cup featured in this very gallery. The car got a new owner and with it a new design. 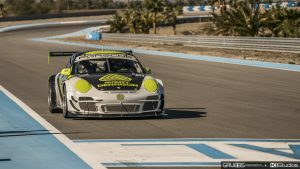 The design and wrap of the Porsche Cup car came by after teaming up with Avery Dennison as the vehicle’s sponsor. The colors Pearl Black, Pearl White and Gloss Lime Green were chosen and the designing began. It was immediately evident it would not be a printed design but rather layered graphics. 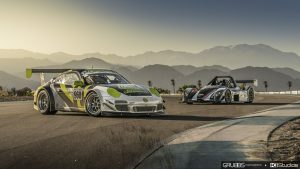 Layered graphics for racing liveries is a very tried and true method of application. A few days at our facility in San Diego and the car left with its brand new livery. 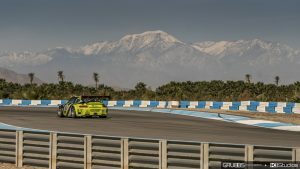 The car is currently seeing a lot of track time. We finished it during the holidays with plenty of time for the race season. All the mechanical work had gone into the car already. We would be the final step in getting the cup car ready for the 2017 racing season. 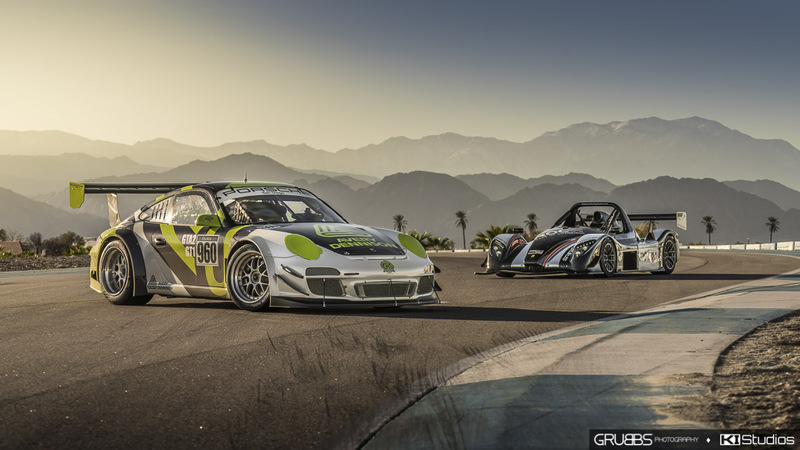 These photos are shot by Grubbs Photography at The Thermal Club. This was the very first time the car went to the track after the wrap. Needless to say, the photos are magnificent. 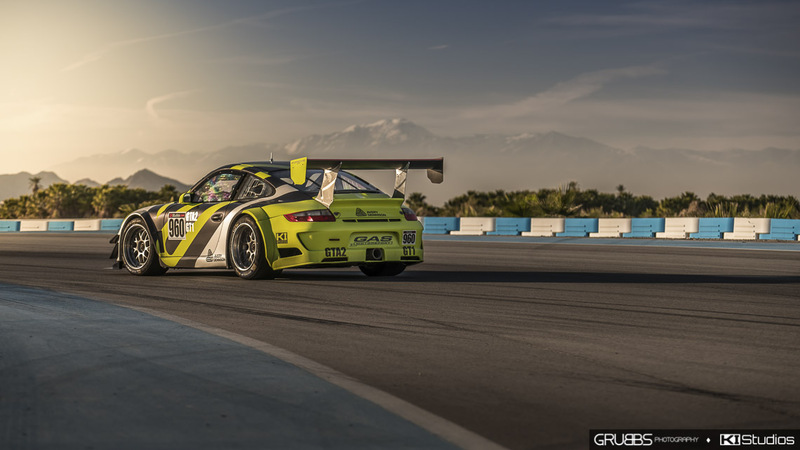 The 911 GT3 Cup is Porsche’s factory customer race car. 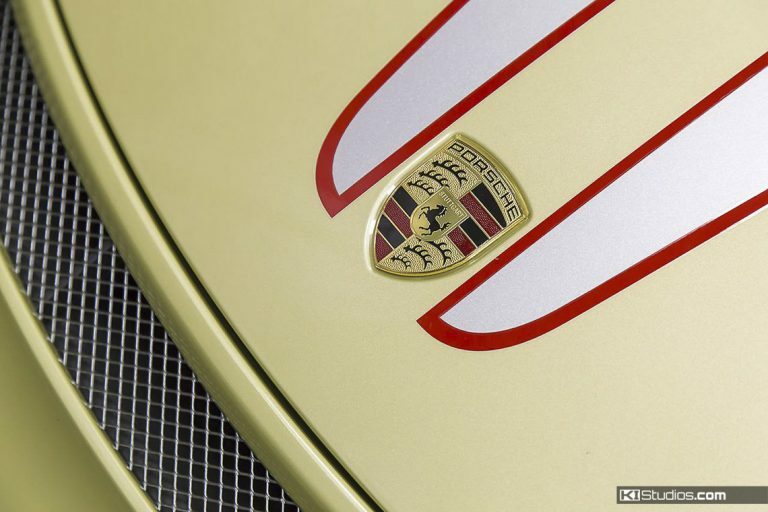 Meaning, it’s a non-road legal race car, built by Porsche, specially for sale to its customers. This is a car you can order if you have the means and race all over to your heart’s content. 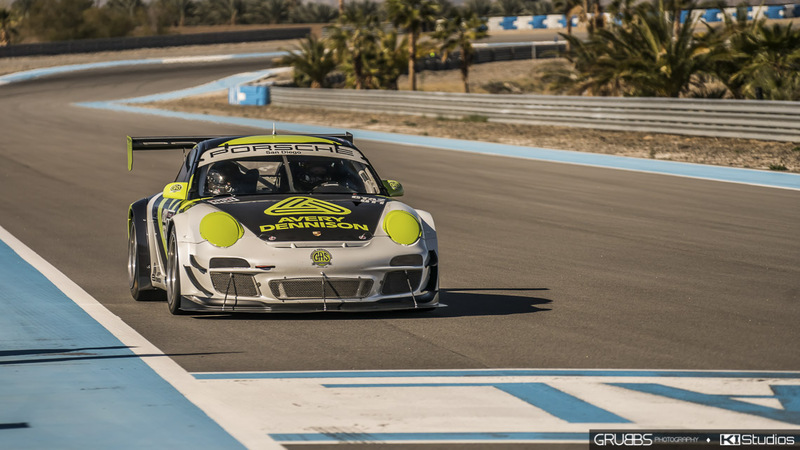 While there are a good number of street Porsches converted into Cup cars, this particular 911 is a genuine factory race car.